Monitoring Drug Use through Sewage: A Helpful Supplement? Editor’s Note: Today we welcome guest blogger Toine Pieters, senior lecturer and researcher at the VU-Medical Center in Amsterdam (since 1998) and professor of the History of Pharmacy at the universities of Groningen and Utrecht (since 2008). 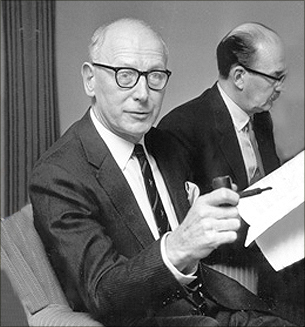 Working at the intersection of psycho-pharmacology, addiction studies, genetics and eugenics, he is the author of Interferon: The Science and Selling of a Miracle Drug (London, 2005) as well as a host of diverse papers. In addition to teaching and writing, he also is the project manager of WAHSP and BIland: Web applications for historical sentiment mining in public media. Pieters will be guest blogging at Points intermittently through the fall– we hope with a whole slate of provocative topics like today’s. Archaeologists love to dig into trash as a source of information for reconstructing the past. Biochemical researchers have followed suit with another kind of waste: sewage. Over the past decade a new promising technique based on the analysis of urinary drug biomarkers in sewage has been developed to estimate drug use by specific populations. This approach has been referred to as ‘sewage epidemiology’. Throughout last year, researchers from 19 different European countries studied illicit drug use by chemically sifting through the sewers. What does the study tell us about monitoring drug use? 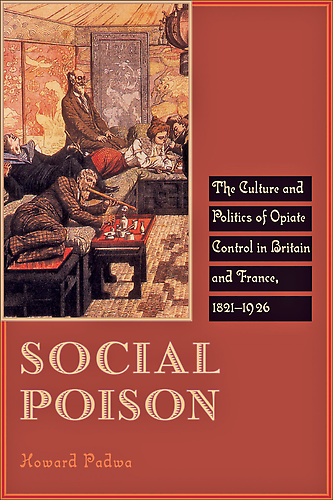 Points is pleased to present the third installment of guest blogger Kristina Aikens’ four-part series on women’s drug use in Victorian England. Today, Kristina looks at – among other things – visual representations of women’s drug use and the male gaze. In my last post, I looked at autobiographical writing by women that reveals some surprisingly humorous and positive attitudes toward drug experimentation. Last week’s writings, however, were not nearly as pervasive as certain visual images—many of them used in advertising—that depicted women having a very different relation to drugs. These visual images were not realistic, nor were they intended to reveal anything about the female experience. Instead, they sought to appeal to a male audience, either to sell a product or warn consumers of its dangers. Due in part to the popularity of Thomas De Quincey’s Confessions of an English Opium-Eater, the quintessential drug experimenter was already envisioned as being male. The visual images in this week’s post elaborate on this basic assumption, while adding exploring the personification of the drug itself as female. Many of the most widely known visual representations of drug use from the nineteenth century employ images of woman serving as little more than an object of the male gaze or as a cipher for the development of male subjectivity through drug experimentation. Speaking of nineteenth-century French drug literature, Marcus Boon writes in his book The Road of Excess that “Drugs themselves were pictured as seductresses like Salome or the Odyssean Circe in this literature. Heroin was ‘the white fairy,’ morphine ‘the grey fairy,’ opium ‘the black idol,’ and absinthe ‘the green fairy.’ ‘She’ (the drug) seduced with her beauty and the pleasure she offered, and then led you to ruin” (48). These metaphors trade in the stereotypes of women as alluring, deceptive, and destructive and employ a conventional narrative about male drug use as tragically addictive. 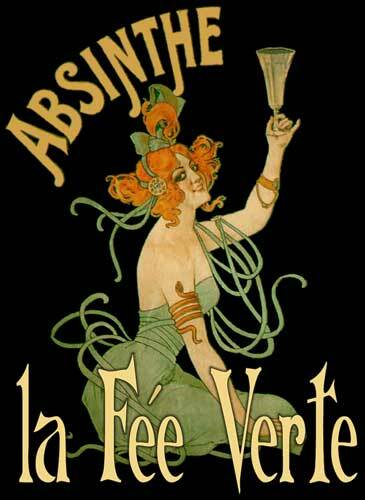 Perhaps the most familiar such personification is absinthe, the “Green Fairy.” The gendered metaphors Boon points out can easily be discerned in Albert Maignan’s 1895 painting The Green Muse. This painting depicts what seems to be the beginning of the love affair between a man and his drug, as the expression on the face of the writer suggests ecstasy. 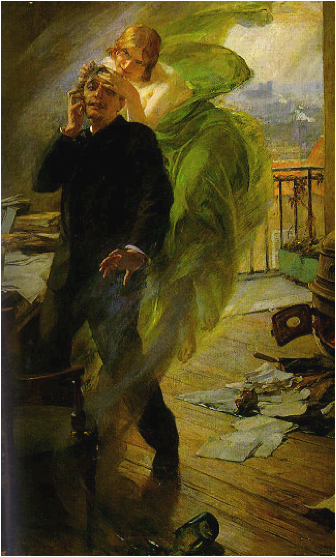 The beautiful woman soothes him with the touch of her fingers, and the painting’s title suggests that this Green Fairy inspires artistic expression. Still, the arguably haggard look of the man’s face and the position of his hands convey the possibility of a more tortured future. 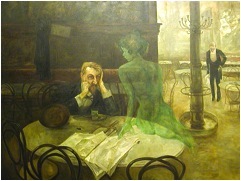 The 1901 painting Absinthe Drinker by Viktor Oliva depicts what could be considered a more advanced stage in the affair. In this painting, the male protagonist, rather than being inspired or uplifted by the drug in any way, has been reduced to staring directly and quite blankly at the naked apparition before him. No pleasure is apparent in his expression, though he is nonetheless enthralled. Welcome to the second installment of guest blogger Henry Yeomans’ new series here on Points. Henry, a Lecturer in Criminology and Criminal Justice at the University of Leed’s School of Law, has already provided us with an excellent article on Britain’s World War I-era teetotaler movement. Today, Henry discusses debates over alcohol regulation in the Swinging ‘Sixties. 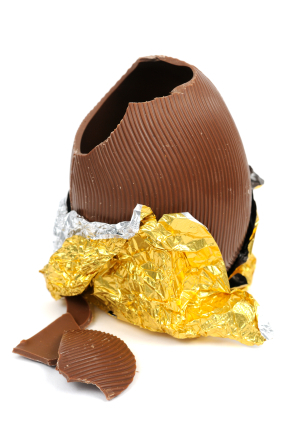 Chocolate egg, or alcohol vessel?